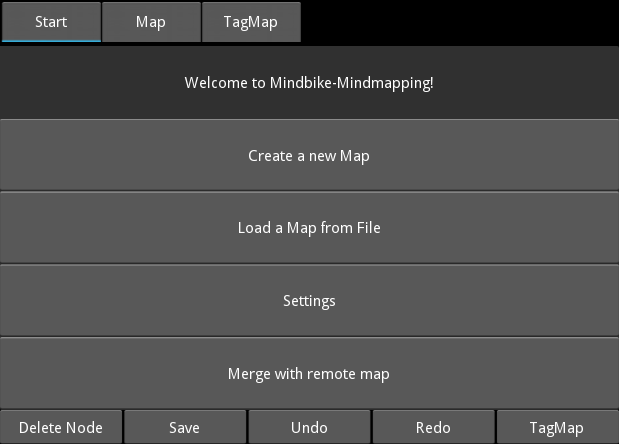 MindBike is a Mindmap viewer and editor. It is still in alpha/beta-state but usable for mindmaps without extra-features. It reads and displays Mindmaps in the Freemind/Freeplane Format (*.mm). 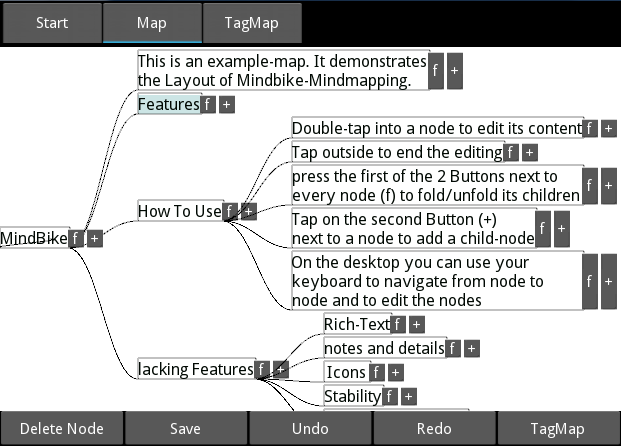 Its possible to edit and save the mindmaps in the same format, so they are still compatible with Freemind or Freeplane. It is written in Python + Kivy and thus runs under Android, iOS, Windows, Linux and MacOS - but the main target ist Android. It is the best mindmapping-application for Freeplane and Freemind files on Android to date (though that doesn't mean much...). Wikipedia links here. Hashtags. Add #hashtags in your node-text to easily access nodes with similar content. Mindbike will generate a #Hashmap that bundles all the nodes with the same #hashtags. Use #hashtag:subtag to build subgroups. This enables an easy GTD (GettingThingsDone) workflow. Please note that the builds aren't always up-to-date. For now, I only provide packages for Android, sometimes for Windows. 3. Navigate to the apk-file and open it. From source (For Windows, Linux and MacOS), for advanced Users!